Look to Tangled as evidence of how Disney treats their animated films today. The 2010 CGI-animated feature is beautifully rendered, with a return to Broadway-esque songs and witty scripts, although self-awareness rules the roost along with questionable doe-eyed females. Tangled may have put the nail in the coffin for hand-drawn animation, and cast Disney’s eye towards pleasing all genders, but you can’t ignore the infectious spirit floating off it like a glowing paper lantern. Rapunzel (voiced by Mandy Moore) lives her life locked away in a tower at the behest of Mother Gothel (voiced by Donna Murphy) who kidnapped the child as an infant. Rapunzel’s dragging golden locks possess magical powers which Mother Gothel employs to make herself immortal. However, Rapunzel dreams of leaving her tower to watch the mysterious “floating lights” she feels are her destiny. With the aid of a loveable rouge named Flynn Rider (voiced by Zachary Levi), the duo go on an adventure of exploration and romance. I wouldn’t go so far as to declare Tangled the beginning of a new Disney Renaissance (there’s a few more movies to see), but the film is the foundation for an emerging resurgence in the company dynamics. CGI is the official animation style, and thankfully the movie beautifully employs the model, romanticizing the style compared to wackier takes like in Meet the Robinsons. Several sequences are living art, such as the lantern release and the forest where Rapunzel’s tower is housed. The various characters are all lavishly costumed and animated to suit, and Rapunzel’s hair is minutely detailed to the point you can count the individual strands. Recently, a Disney animator felt the need to comment about the problems of animating the “complex” face of female characters, and this movie sparks a trend of doe-eyed females with tiny waists (preliminary photos of the characters from Frozen are near identical to Rapunzel). 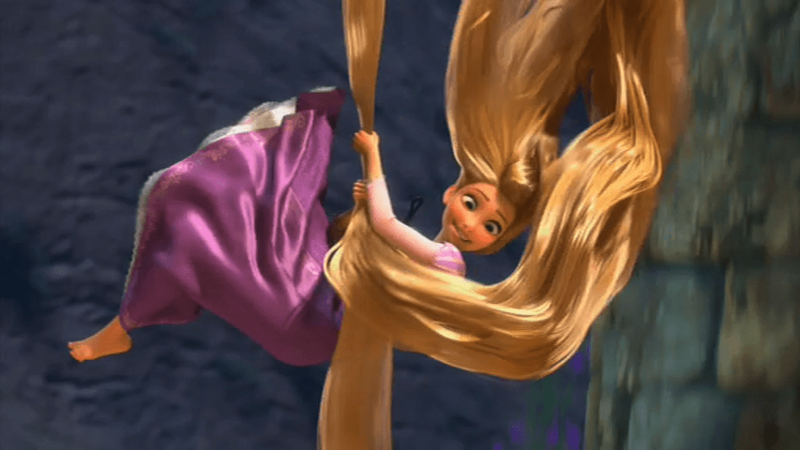 Rapunzel isn’t a glamorous animated character, nor is she particularly distinctive in her animation. Mandy Moore’s voice is perfectly suited to the character who would be the girl next door, if her tower had a door. Moore conveys sweetness, playful defiance, and humor in her voice work and I’m surprised she hasn’t done more. You can see Moore’s face shining through the character. It helps she has a melodious voice for the songs. Unfortunately, aside from Rapunzel’s long, blonde hair, she’s the stereotype of femininity. You don’t have characters with the flaming red mane of Ariel or the bookish appearance of Belle. Remember the times when female characters in Disney films had eyes which didn’t take up over 50% of their head? The main issue with Rapunzel is how ancillary she is to her own story. She isn’t even allowed to narrate her movie, a job relegated to Flynn. The script went through drastic changes after Disney perceived the movie would fail to attract male audiences (they followed the adage that women will go see any movie, while men won’t see anything marketed/led by females). The failure of The Princess and the Frog was blamed on the title turning off men and the lack of any strong male figures, so it was “rectified” with this. If you believe Disney hasn’t dropped its male-centric thinking, Google the comments made about the lack and desire for “strong male heroes” in Disney films as told by the guy who worked on Oz: The Great and Powerful. Disney created the character of Flynn Rider to attract boys, and changed the movie’s title to the ambiguous Tangled; odd considering Rapunzel’s hair never gets a kink in it despite being dragged through the entire forest. I can’t get my hair to cooperate in a ponytail! Flynn is a decent leading man because Zachary Levi’s voice work is fantastic. (I appreciate Disney getting smaller stars for this film.) Flynn may be a hunkifed Emperor Kuzco, especially with his self-aware and anachronistic one-liners which are hilarious, but it’s entertaining. 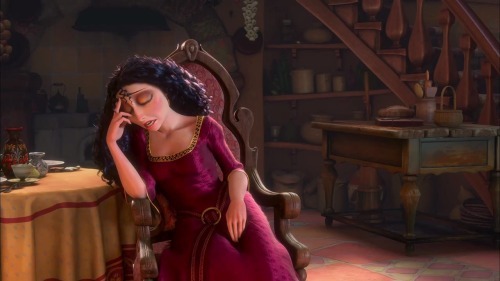 The scene-stealer is Mother Gothel amazingly voiced by Donna Murphy. I knew Tangled was a return to Disney musicals of old when I heard Murphy belt out “Mother Knows Best,” one of the best songs to come out of the Disney music department in years. Gothel is the prototypical aging woman desperate to remain young, but there’s an element of loneliness and maternal control in her character. Yes, she’s kidnapped Rapunzel for her own selfish ends, but, due to Murphy’s voice work, you hear her “I love you most” to Rapunzel as the genuine love of a mother. The core of the story is the age-old theme of a young girl becoming a woman and the feared irrelevance of parents. Mother Gothel is a passive aggressive villain, hewing closer to some of the worst traits of female stereotyping, right down to making a fat joke at Rapunzel’s expense. Again, it helps that Mother Gothel is written as a passive aggressive villain – continually going back on her insults and calling them jokes – but must we throw in every terrible female trait in the book? You didn’t see Ursula call Ariel fat, did you? Alan Menken‘s score is a patch of heaven, and introduces the return of the Disney showstopper. The aforementioned “Mother Knows Best” is akin to “Poor Unfortunate Souls,” and “I See the Light” will go up there with other romantic ballads like “Beauty and the Beast.” You can hear the soul in these songs. They don’t sound churned out from Disney Music 101. We also see the return of the cuddly side characters, in this case Pascal, Rapunzel’s chameleon friend and Maximus the horse. The former is far more entertaining than the latter, particularly because Pascal mimes all his actions. Maximus is another one of those “horse that acts like a dog” characters, which is funny for a bit but dies quickly. Tangled is an evenly balanced blend of flaws and praises. Rapunzel may be unremarkable from an animation standpoint, but the animation around her is superb and the vocal work from Moore, Levi, and Murphy is the best it’s been in years. Menken’s score is at the forefront of a resurrection of Disney musical magic, and the story is hilarious, romantic, and captivating. 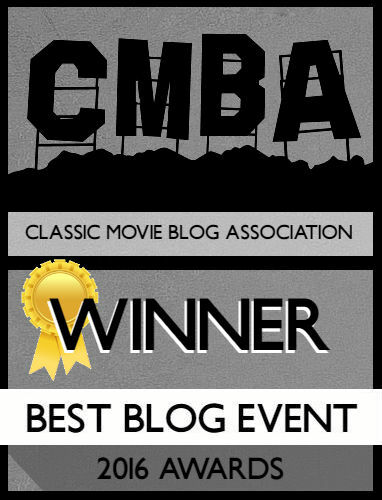 The same foibles of past Disney films remain, but even they appear as part of a Disney tradition and a return to what we once knew. Disney just had to return to what they knew to get audiences to remember they aren’t out of touch. I quickly fell in love with Tangled, and it became one of my favorite animated films. Though it took a couple viewings before I fell in love with all the songs. That being said, I do disagree with a few of your points. The biggest disagreement I have is in “Mother Knows Best.” Not only do I disagree it’s the best song in the film (I actually feel it’s the worst), but to compare it to “Poor Unfortunate Souls” is a terrible, terrible thing to do. As just another song, Mother Knows Best is… good. It’s fun. But it’s not just a song. It’s a villain song. And as a villain song, it’s probably one of the worst Disney has ever given us. (Whereas Poor Unfortunate Souls is one of the best.) 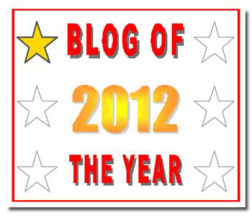 I see where the comparison comes from in terms of theme, but the quality is lightyears apart to me. It’s way too peppy. It almost rectifies this in the reprise later in the film when it becomes “Rapunzel Knows Best,” which gives off a reminiscence of Jafar’s Prince Ali reprise in Aladdin, which is fantastic. So while I don’t dislike Mother Knows Best, it bugs me on a villain song level because it just… doesn’t work. It’s actually tonally more akin to “Cruella DeVille,” another villain song I’m not overly fond of as a villain song (but works in other regards). Still, Gothel is a fantastic (and incredibly evil) villain, so that more than makes up for it. Honestly, I think she’s one of the more despicable villains to come out of Disney. And I think it’s a bit of a stretch to make a feminist argument against how Gothel is written. She’s a villain, after all. It’s not like they’re showing negative feminine stereotypes in a positive light. And honestly, it’s more in WHY she’s saying these things to Rapunzel more than WHAT she’s actually saying (though that’s pretty despicable, too). Finally… I actually love Maximus more than Pascal. He had me laughing so hard when I first watched it. The swordfight between Max and Flynn is fantastic. And Max actually has growth as a character, whereas Pascal stays pretty one-note throughout. Haha, true “Rapunzel Knows Best” is the stronger vocally but I still find myself humming “Mother Knows Best” all the time, and compared to the lackluster songs of the last few Disney films before this (Enchanted notwithstanding), Tangled sails on all the music. I think that’s what’s given Tangled this life entering the pantheon of Disney’s best, considering the last several films were just crappy. TANGLED was a welcome surprise after a SLOW, gradual drop in quality of Disney animated musicals dating back to THE LION KING. Although not on par with BEAUTY AND THE BEAST and THE LITTLE MERMAID, it featured clever songs, smart humor, and some stunning animated sequences. Exactly, Tangled is a breath of fresh air in contrast to what preceded it. I wouldn’t put it in the pantheon of greats from the 90s, as you mentioned, but it’s certainly the beginning of a resurgence in creativity and humor.